At Discount Windows, we offer a broad range of uPVC doors to enhance your Clacton-on-Sea home, offering you an entrance to your home that you can be proud of. Whether you are looking for a new front door, French door, or even a sliding door, we can help. Our expert teams are experienced in both replacement doors and new installations, meaning that choosing us enables you to have the perfect doors for your home. Our uPVC doors are exceptional. We work with the leading suppliers in the industry to ensure you benefit from outstanding quality, style and performance. If you are looking for new uPVC doors for your Clacton-on-Sea home improvements, then our handy guide is here to give you all the inspiration you need. Our uPVC doors are crafted to the highest standards and feature the very latest developments in double glazing. We work with the leading suppliers of Deceunink, Synseal and Door Stop so that you benefit from excellent quality and performance as well as a choice of options and prices to meet your requirements. 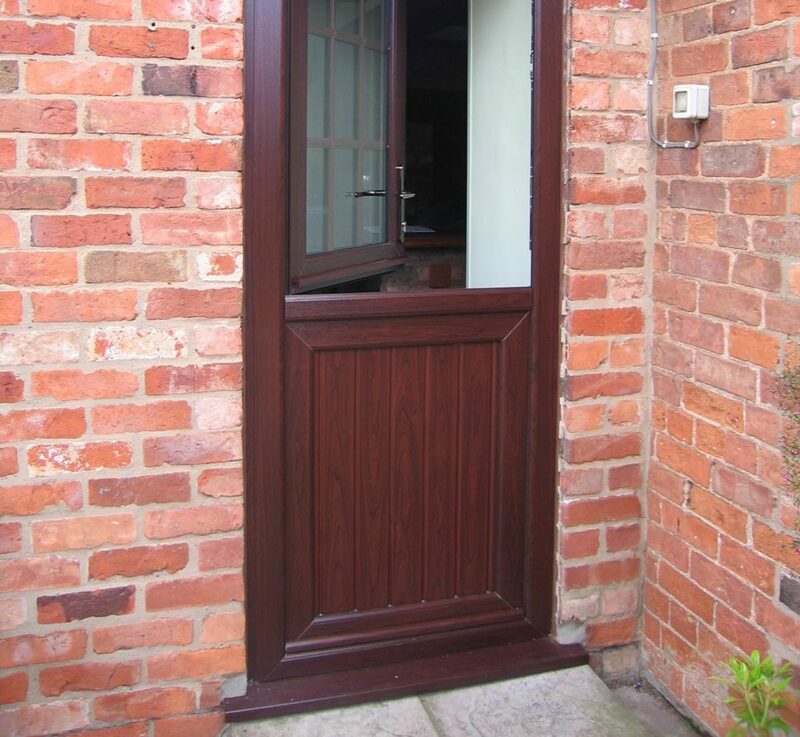 Our uPVC doors are truly exceptional, outclassing their competitors in all areas. We offer two distinct options when it comes to front doors. You can choose from the Deceuninck collection or the Synseal Range. These beautiful double glazed doors come in a wide range of panel designs, ensuring that any style of property can benefit from a door that complements the architecture. These uPVC doors can be tailored to a wide range of colours and natural wood effects, and there is a choice of hardware and accessories to complete the look. They are completely secure, capable of achieving Secured by Design standards for your peace of mind. 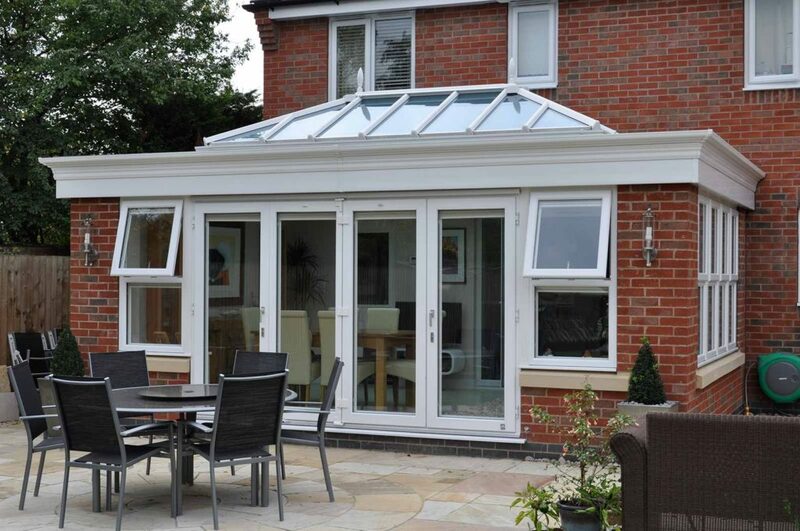 All of this and the original profile structure ensures that these uPVC doors are energy efficient, protecting your home from the cold outside and trapping heat within. We also offer composite doors to our Clacton-on-Sea customers. These luxury front doors from Door Stop are the guaranteed best choice for security and thermal performance. They consist of a solid core covered with a glass reinforced plastic skin, making them highly insulating. Our composite doors are a fantastic choice for ultimate home protection and adverse weather. They are incredibly robust and durable too, ensuring long term, quality operation. These stylish front doors offer a beautiful design, as they have all the beauty and elegance of timber combined with the technology and performance of uPVC. This means that you can have an authentic replacement for your wooden door, but there will be none of the costly and time-consuming upkeep. Composite doors require little maintenance. The hard-wearing structure will never warp or split, and the colour will never fade or discolour. They are the ideal long term and cost effective home improvement. The front of your home is sure to look spectacular with our uPVC doors, but, we also offer a vast range of options for the rear of your property. 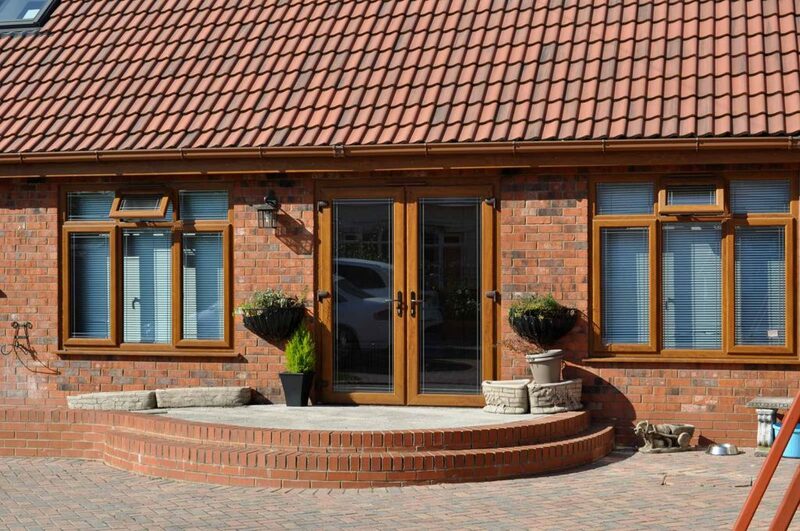 We work with Deceuninck profiles for excellent efficiency and security, keeping your home warmer for longer and more secure. Our uPVC doors are tailored to your tastes. You can blend these doors in with your windows, as they are available in the same palette of colour finishes. Our fantastic uPVC doors are the ideal choice for creating a beautiful aesthetic for your Clacton-on-Sea property. These beautiful doors offer great functionality as well as appealing looks. They combine all the benefits of safe ventilation with the charm and character of countryside living. Our elegant French doors are a popular choice thanks to their timeless beauty and their versatility. These doors can be installed anywhere in your home, opening to the garden, patio or even a balcony. Our state of the art patio doors will give your outstanding views of the outdoors with their large glass panels and slim profiles. They are easy to operate, precision engineered and aesthetically pleasing. 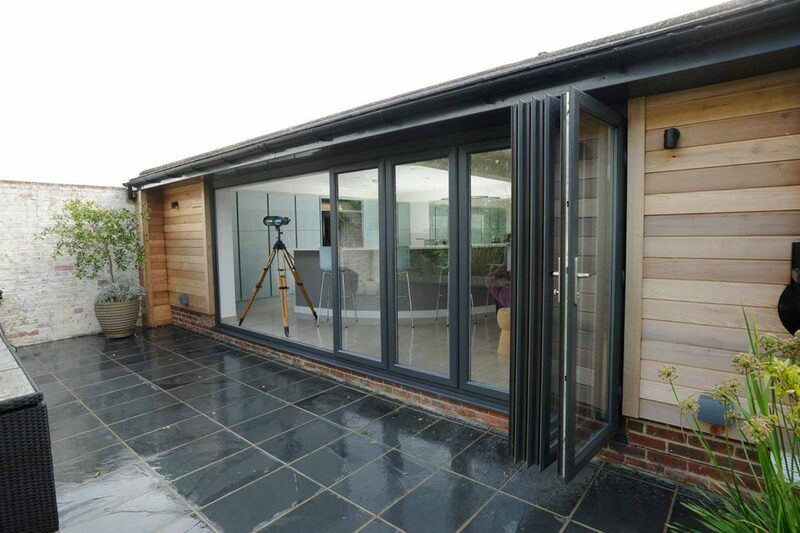 For elegant style that opens your home up to your outside area, our bi-fold doors are a perfect choice. These doors will enhance your lifestyle as well as your property, giving you a grand living space to enjoy. At Discount Windows, we pride ourselves on offering a range of uPVC doors prices in Clacton-on-Sea. Any home improvements budget can be accommodated. Get a personalised guide price with our online quoting engine, or contact us for more information on these amazing uPVC doors.